Reporters heading to Haiti – Pamela Wood. Wow, what an assignment! Several local reporters are heading to Haiti aboard Baltimore’s own USNS Comfort. 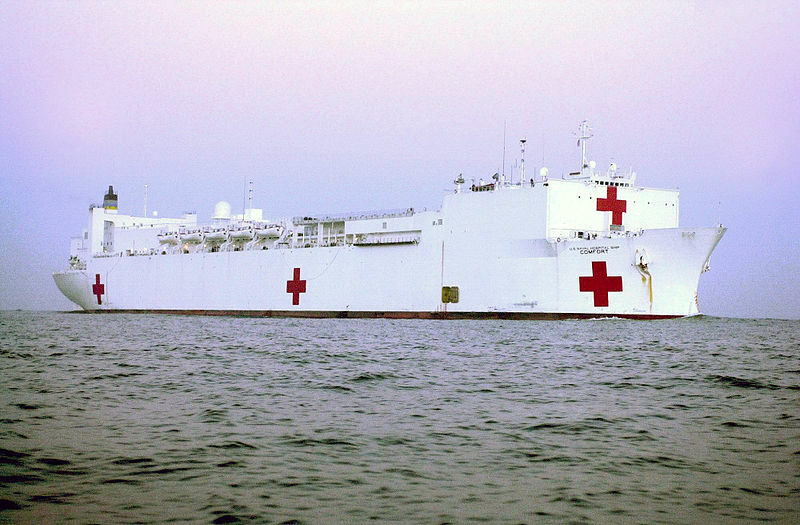 The Comfort is an enormous Navy hospital ship. The crew is on a humanitarian mission to Haiti to help with post-quake medical needs. The Baltimore Sun has reporter Robert Little and photographer Kim Hairston aboard. WBAL’s Lowell Melser and WUSA’s Scott Broom also are aboard the Comfort and filing reports. The Gazette newspapers (in the DC suburbs) have sent Andrew Ujifusa. I’m sure these journalists will bring back some amazing stories, so I encourage you to check them out. If I learn of any other Baltimore-DC reporters on the Comfort, I’ll link to them, too. UPDATE, Jan. 18: I’ve learned that WBAL’s Lowell Melser is working with photographer Pat Bourque. Lowell is “tweeting” as well. Next postScared of me, really?